Under the agreement, all unfairly dismissed workers will be reinstated with full compensation. The company recognizes the People's Employees' Union (PEU) as the representative of IUF members at the Multan bottling plant and guarantees that there will be no harassment or victimization of union members and officers. To rectify precarious employment practices which undermined the right to trade union membership in CCBPL's bottling operations, the agreement creates 187 permanent, directly employed positions. The agreement will be overseen internationally by the IUF and CCI/TCCC and implemented through a local process and implementation group established between the IUF and its affiliates and CCBPL in Pakistan. 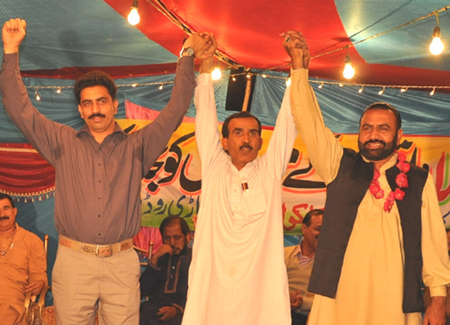 Khalid Pervez, President of the Coca-Cola Workers' Union, Rahim Yar Khan, called the agreement "A major breakthrough for trade union rights and recognition in Coca-Cola Pakistan and the work of the IUF-affiliated National Federation of Food, Beverage and Tobacco Workers (NFFBTW)." Khaista Rehman, President of the Coca-Cola Beverages Staff & Worker's Union Karachi and member of the steering committee of the IUF Global Alliance of Coca-Cola Workers, said, "This is a great victory for all Coca-Cola workers in Pakistan. We can now ensure respect and dignity in the workplace." The draft agreement was reached at 4am on July 25, at the end of a second day of negotiations at the IUF secretariat that lasted close to 19 hours. The agreement was formally signed later that day by the IUF, TCCC and CCI following consultation with and endorsement by IUF members in Pakistan. Both sides began the negotiations on July 23 expressing a strong will to reach a mutually agreed outcome over the course of the following two days. The CCI delegation was led by Hüseyin Akin President of International Operations, and Ron Jones, CCI President for Middle East/Pakistan Region; TCCC team in the negotiations was led by Ed Potter, Director of Global Labor Relations.